Serious power for the serious driver. 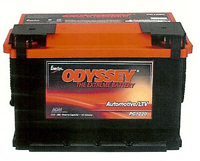 Odyssey® is the battery that pumps out instant power for unbeatable performance for both start-up power and in-car entertainment and sound systems. 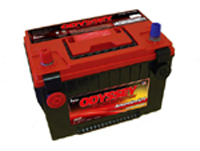 Because it has twice the power of other equally sized batteries, its lightweight and compact features mean it can neatly fit under a car seat or in the trunk. 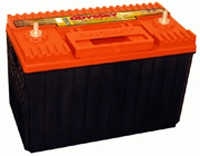 Batteries can be mounted either vertically or horizontally.